Nutella Soufflé from Jhuls for my birthday! Yesterday was my birthday. AND last month was my blog’s 1st anniversary! She was my saving angel! Sweet and happy to help as always! She wanted to write me a guest post and I loved it so much I decided to make this my birthday post! 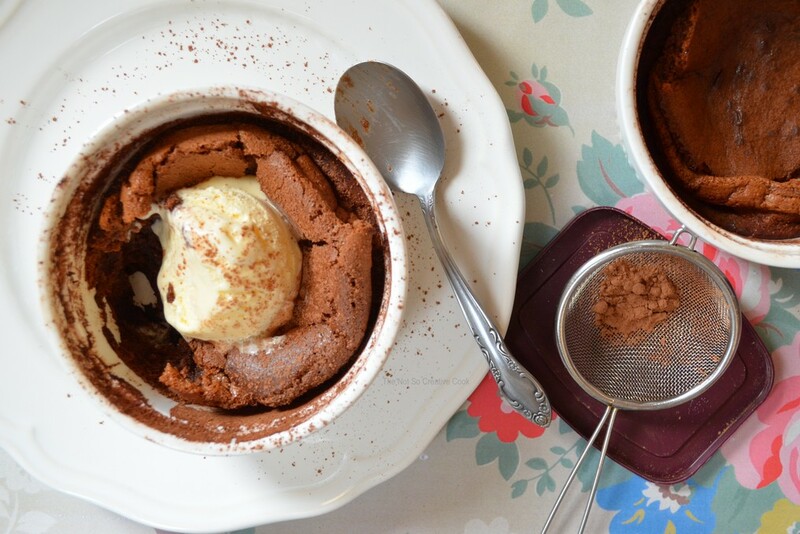 Jhuls brings us this delicious Nutella Soufflé from our mutual idol Laura in the Kitchen. It has got to be good! I mean look at it! This is by far the best dessert I could wish for on my birthday! Now it’s time to let her do the talking. I’ve known Sarah thru the blogging over a year now. She’s like a little sister to me. The problem was I didn’t know what to make for her. See, there are many sweets recipes everywhere – from cupcakes to cakes, blondies to brownies, muffins to bars. It’s not difficult at all, but how to choose from those all divine recipes?? Aha! I thought about common things that Sarah and I share. We both love calories. Okay, already knew that. I just needed to remind myself some more. What else do we have in common? I got to visit Sarah’s blog because I found out that she likes Laura Vitale. Oh, there are so many. It’s been a long while since I wanted to make Laura’s Nutella Soufflé, but I just couldn’t get my hands on it. I didn’t even know why. But I think that was good since I got the chance to make it for Sarah. Preheat the oven to 375 F. Spray two 6 oz ramekins with non-stick spray, dust each ramekin with some cocoa powder and set aside. In a large bowl, whisk the egg whites with the cream of tartar until stiff peaks. In another bowl, beat together the egg yolks and sugar until thick and pale. Melt Nutella for 30 seconds in the microwave to loosen the spread a bit. Add the Nutella and mix until you have a smooth creamy mixture. Gently fold in 1/3 of the egg whites. Add the remaining egg whites, fold gently. Divide the mixture between the two ramekins and bake them for 15 to 17 minutes or until they have puffed up but still have a little giggle in the center. Serve immediately. Dust with cocoa powder, if desired. Best served with whipped cream or vanilla ice cream. Laura Vitale said the dusting of cocoa powder after spraying the ramekins with non-stick spray helps the soufflé not to deflate too soon. It is a must to pop your Nutella into the microwave so it makes it easier to mix it with the sugar & egg yolk. That’s all folks. 😀 I hope you like the dessert I have brought for you. 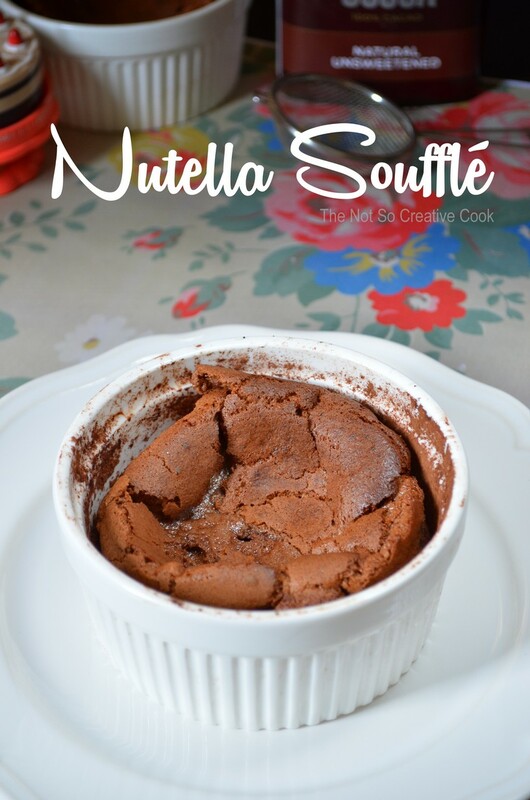 Beautiful Nutella Soufflé to celebrate 2 lovely events, your birthday and blog anniversary. I guess, this post highlights one more celebration…your friendship! Kudos! Awww that’s so sweet! Thank you so much 🙂 Hugs! This is absolute magic created in ramekins. For a chocolate lover like me, this recipe is absolutely delicious. And with ice cream? Decadent! Happy belated birthday! What’s not to love in these beautiful individual souffles? I for one have bookmarked it and might even make it for breakfast now :)). How sweet of you ladies to be helping each other along. That’s what it is all about isn’t it? It is wonderful to be able to give and receive at the same time isn’t it? Sarah, Happy Birthday, and congratulations on your one year anniversary, no small feat I’m sure! Jhuls, well done, you are always such a dear!! Thank you so much, Loretta! Happy Birthday Sarah! This cake looks amazing and a perfect recipe to make with Nutella! Thanks for sharing with us all the recipe to make it! Happy belated birthday to you. I hope you enjoyed your day. Thank you so much, Jhuls! Happy belated birthday! 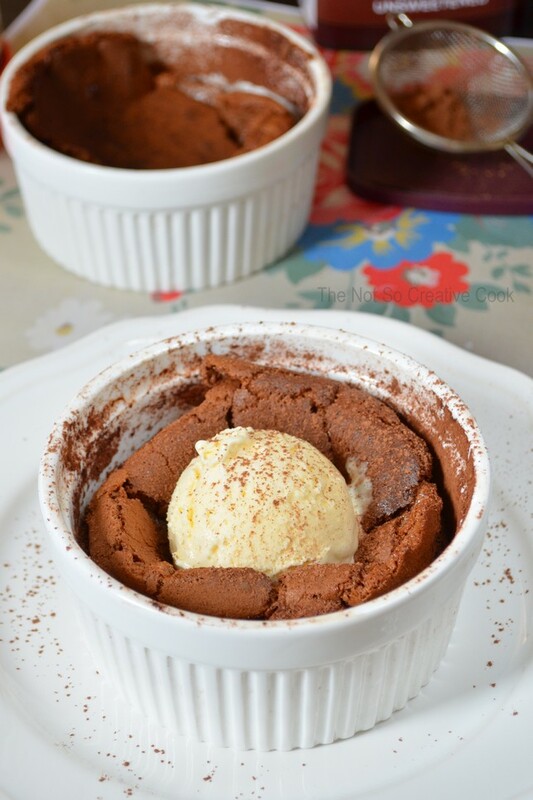 This souffle looks scrumptious! Bookmarked! Oh yes, Jhuls did an awesome job!